Scott knew he was being photographed with his ex-girlfriend Chloe Bartolli , but did nothing to hide from cameras. The two “friends” looked quite close in the pictures eating dinner, rubbing shoulders, etc. Scott was later seen in a photo with prescription pills and booze laid out on a table in front of him. It is apparent to all Disick fell off the wagon in a big way! 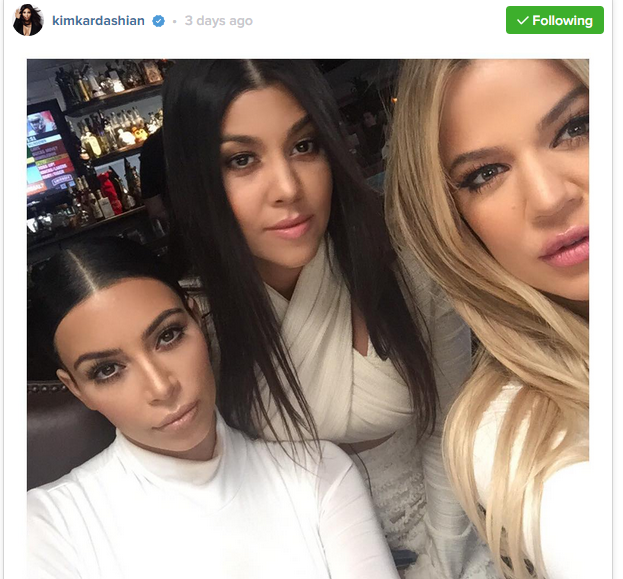 The Kardashian spin machine was quick to issue a statement on E! announcing the break-up between Scott and Kourtney. The Keeping Up With the Kardashian stars have stuck by each other’s sides through good times and bad over the course of their nine year relationship, but E! News confirmed Monday morning that Kourtney has officially called it quits with the father of her three children. So what gives? Well, aside from the recent photos showing Scott getting extra close with L.A. stylist Chloe Bartoli last week while on vacation he was MIA from Father’s Day. 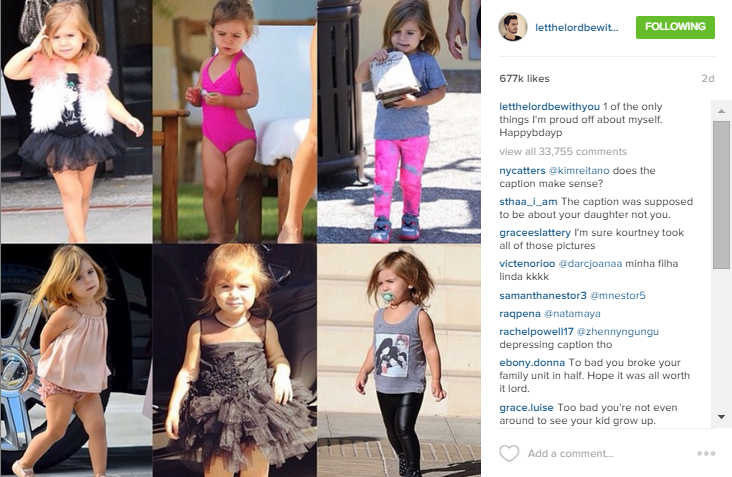 Kourtney nor Scott gave any insight on Instagram about how they spent the family occasion. The two are usually an open book when it comes to family get-togethers, but there may have already been trouble in paradise. This is what they do EVERY time Scott has a relapse! Kourtney will take Scott back when the script says to take him back (Great cliff-hanger). You can’t trust anything that this family puts out because it’s all for publicity and/or plot-lines for the Reality show. Kourtney Kardashian went for an all-white wardrobe lunch with her sisters as they filmed #KUWTK in Calabasas after the split was announced. She appears in great spirits. Scott has moved into the investment property he bought earlier this year that was featured on the show. Custody of the kids has yet to be determined, but all 3 children are staying in the family home with Kourtney so far. Let’s hope Scott goes to rehab and moves home sooner rather than later. The addiction story-line is getting old and viewers no longer want to see this couple at odds.